An all-purpose tool. 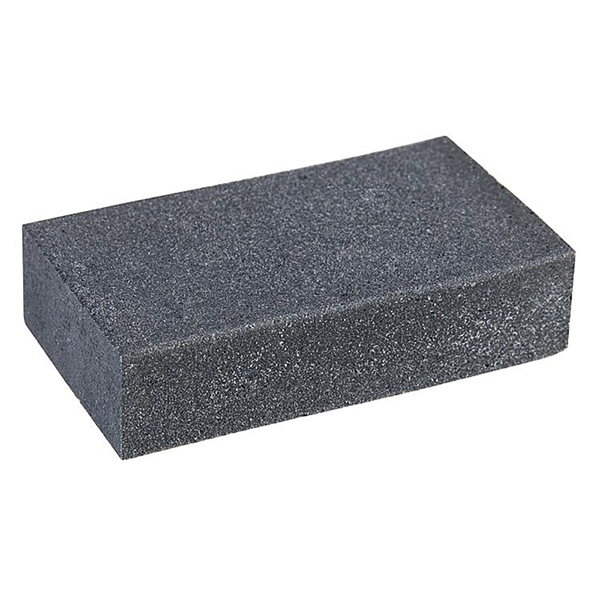 Hand abrasive block allowing to remove rust, deburr, smooth or polish metals, plastics and wood in scale modelling. Removes oxide layers, stains and scratches and ensures high-polished surfaces when cleaning rails and maintaining tracks. Best suited to sharpen small cutters and blades. Perfect for the preparation of surfaces to be painted. Can be used dry or wet. Grain size: 240 (very fine). Dimensions: 80 x 50 x 20 mm.